As part of our Philadelphia Medical Weight Loss Program we like to give our patients lots of fantastic recipes that are conducive to losing weight. In this article I am going to give you seven delicious recipes for banana smoothies. I hope you enjoy them as much as I do. If you, a friend, coworker or a loved one need help with losing weight I invite you to call us and schedule your free weight loss consultation. Call us now at 215-821-7336 and schedule your free weight loss consultation. 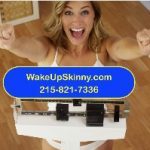 This entry was posted in Diet Doctors in Bucks County, Diet Doctors in Philadelphia, Medical Weight Loss, Medical Weight Loss in Philadelphia PA, Medical Weight Loss Philadelphia, weight loss philadelphia and tagged "Philadelphia Diet Doctor", Medical Weight Loss Philadelphia on October 29, 2017 by Dr. Michael Kenny.